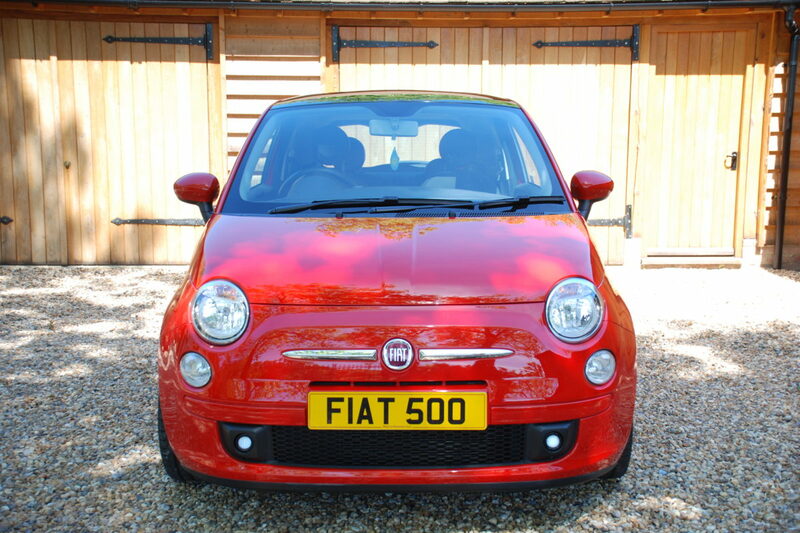 The Fiat 500 ‘200 Ferrari Dealer’ Edition is an extremely special and rare example of Fiats incredibly successful 500 Abarth Essesse. 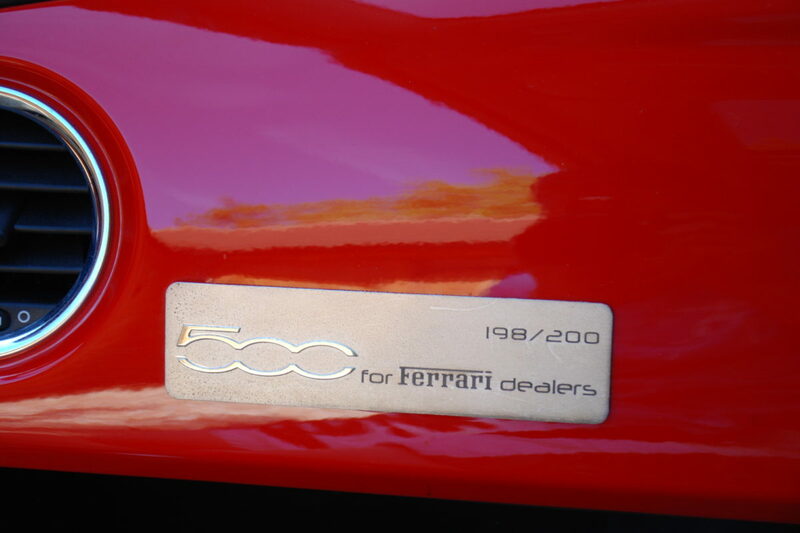 Not to be confused with the 695 Tributo that came afterwards, the Dealer Edition was a car originally designed to be courtesy vehicles for Approved Ferrari service centres, however, the demand for the car was so strong, that almost all of them were instantly sold to important clients. 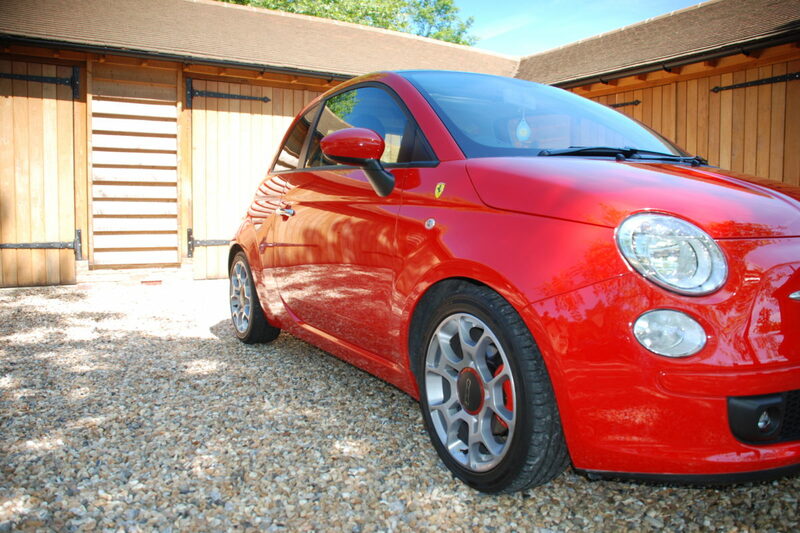 Although styling is very similar to the 695, the Dealer Edition came much earlier than its more common relative; although clearly the styling for the 695 Ferrari Tributo was heavily based on the limited Dealer Edition. 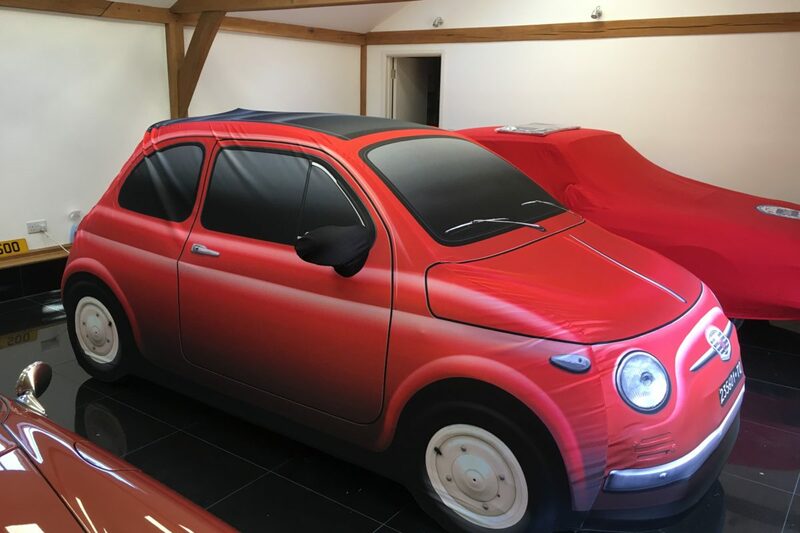 Finished in Rosso Corsa and with the Grey ‘Scuderia-style’ stripes, the Dealer Edition is an Abarth 500 Essesse underneath, therefore comes with 160 bhp. 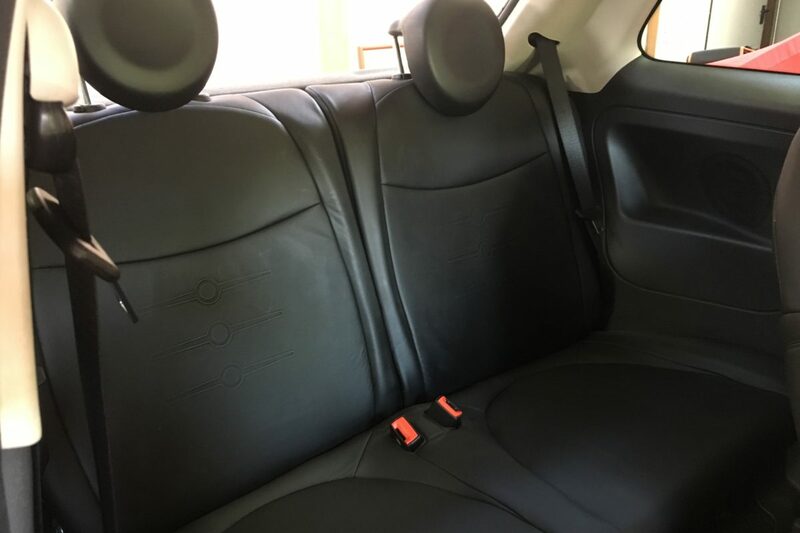 However, in addition the dealer edition comes with Monza sports exhaust system, Sabelt bucket seats and a special steering wheel with stripe; all of which would make their way onto the later 695. 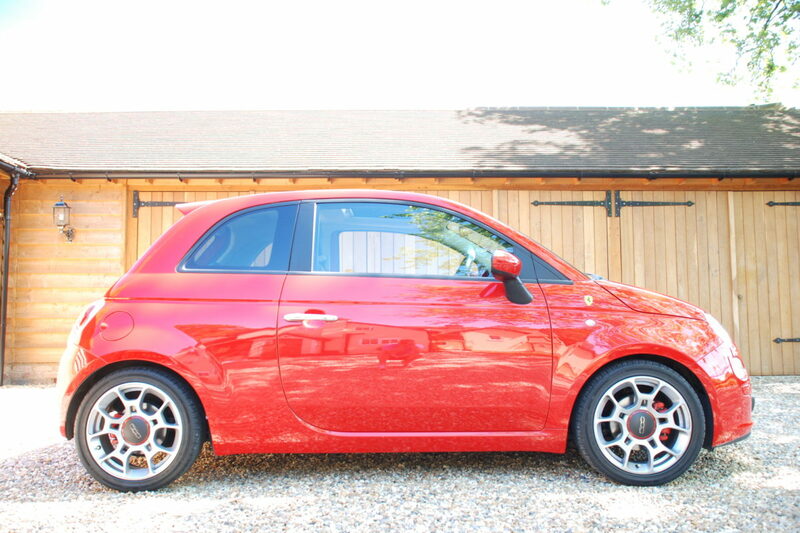 The key distinction with the Dealer Edition car from the 695 Tributo is that not only does it come with an incredibly desirable manual gearbox, but all cars are individually numbered out of 200, making them an incredibly good long-term investment as well as fantastic city car. 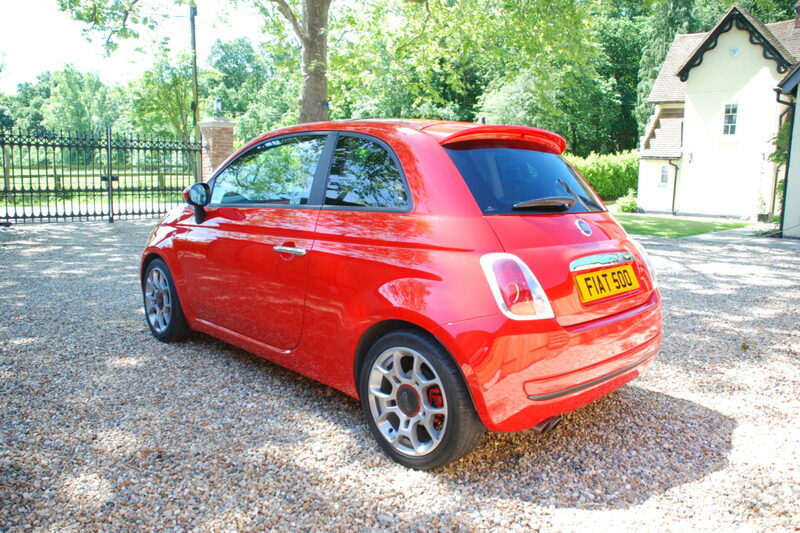 This car is number 198/200; a beautiful RHD example that has only covered 10,054 miles from new. It is in superb condition. 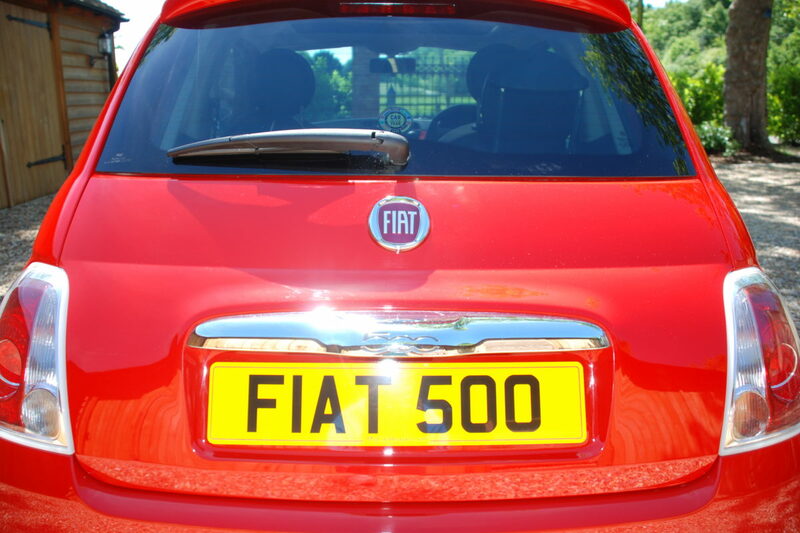 Only 60 of these Limited Edition cars came to the UK. Who knows how many are still here, with many of these cars no doubt sitting in collections. This car was originally given to HR Owen, I presume in 2008. 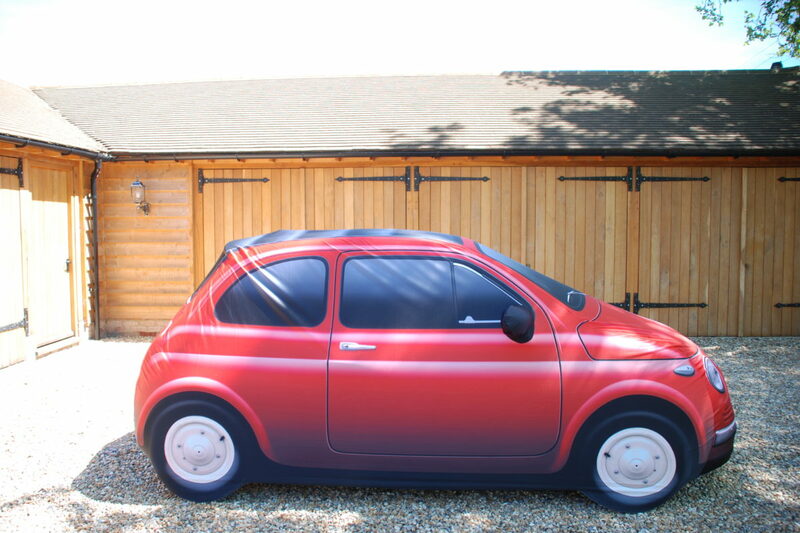 HR Owen had gifted this car to the event for the auction, and it was bought for Gillian by Chris and Gordon as a gift. 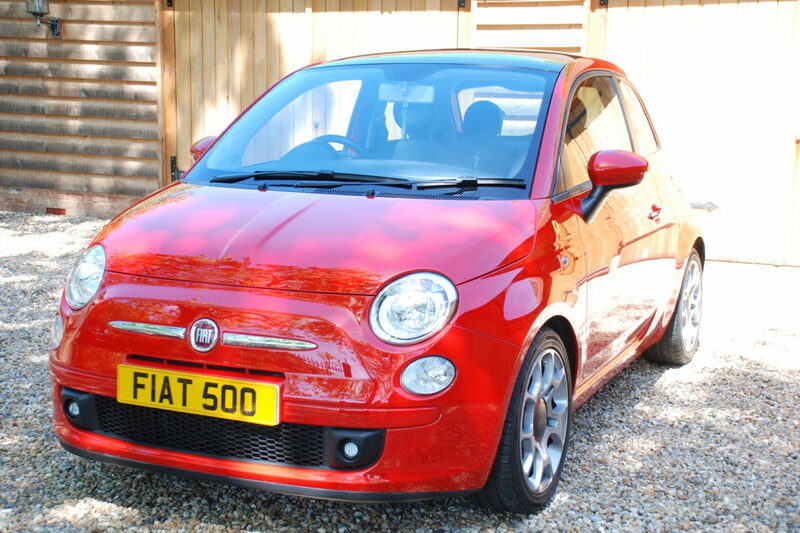 Gillian had the car registered at a different address than hers at the time, so she was the first owner prior to me purchasing the car in December 2015. 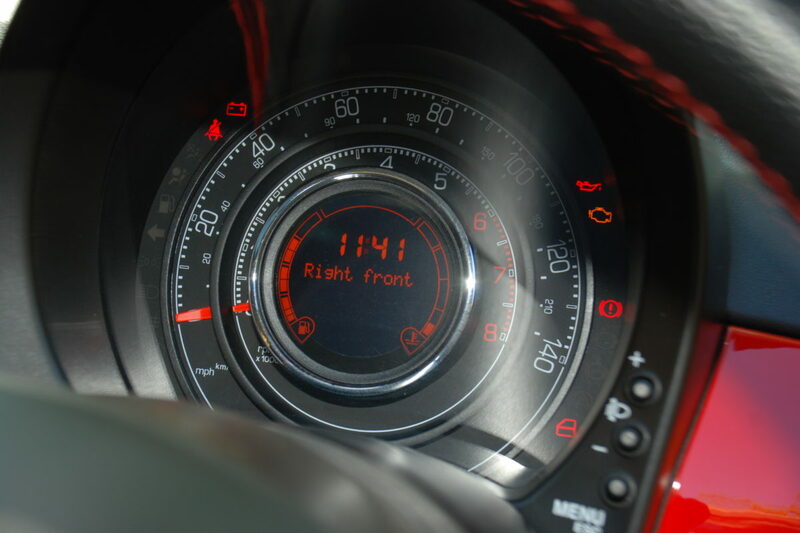 Gillian informed me that she thought the car had 17 miles on the clock or something like this when she picked it up. 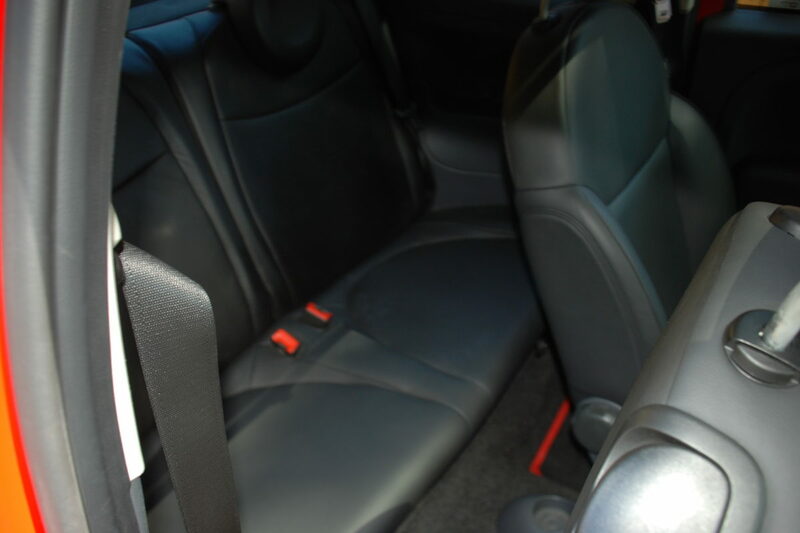 The car was driven by Gillian up until 2009, when she took the car up to her Dad’s house in Scotland, where it stayed until I purchased the car. 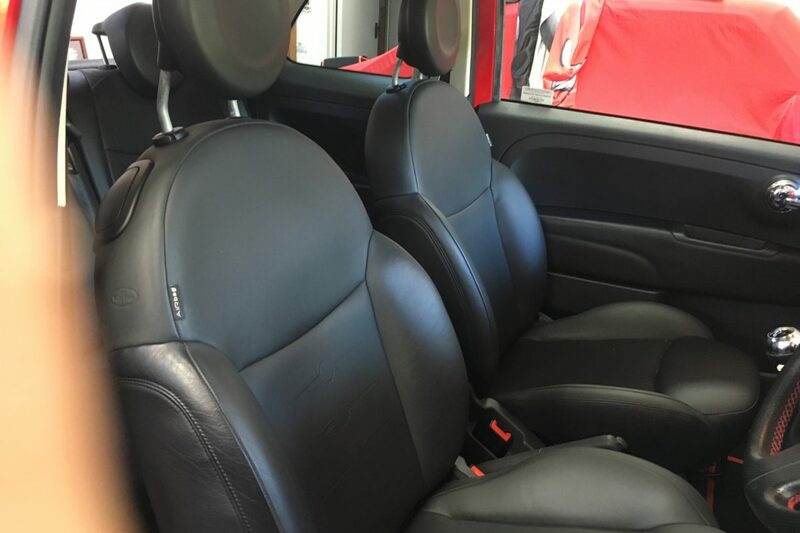 For this reason, this is a very low mileage car and looks, feels and smells almost brand new. Whilst the car was in Scotland, Gillian’s Dad kept the car ticking over and kept it fully serviced and MOT, etc., as is demonstrated from the log books. 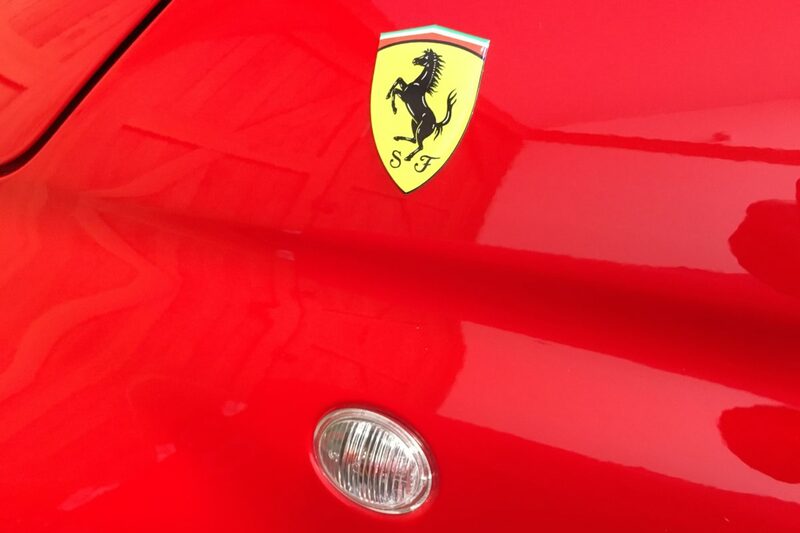 I bought the car as a collector’s piece due to its rarity. The car has been kept in a heated garage, and we have only done limited mileage, so I’d be confident in stating it’s one if not the lowest mileage example in existence. It now reads on the speedo 10,054 miles. 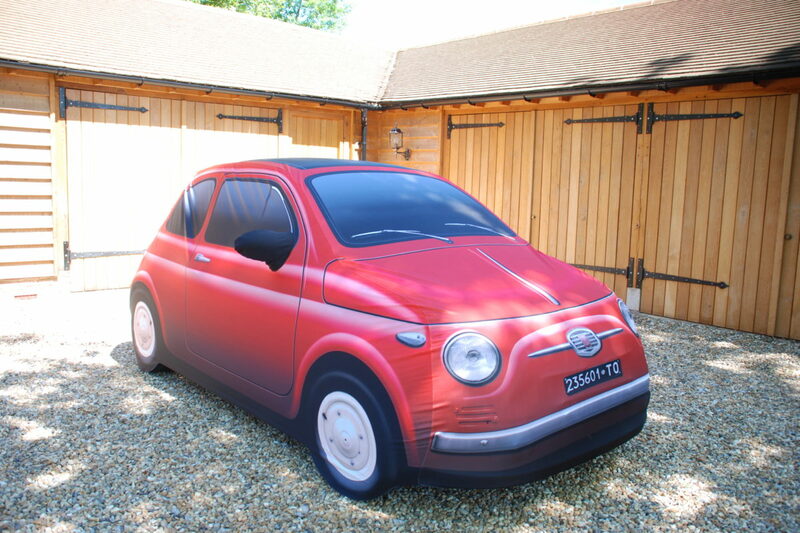 It’s a limited edition model: 200 cars worldwide (60 RHD). 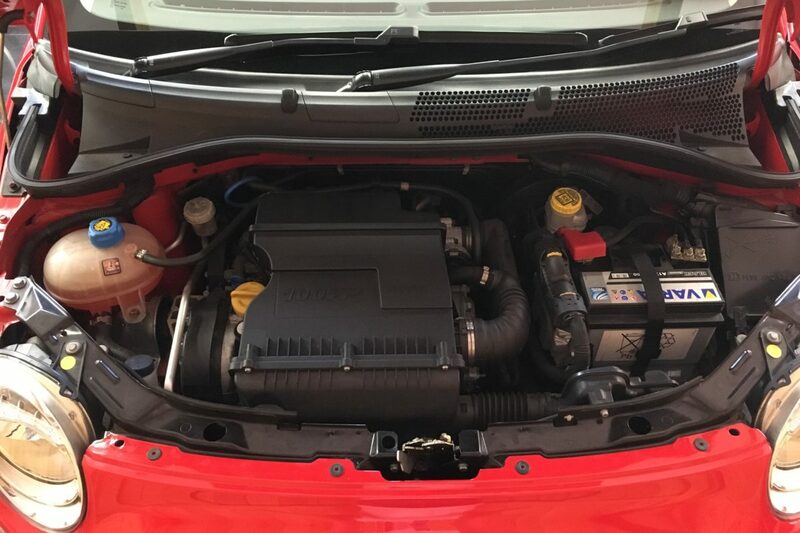 T has a sport and non-sport engine mode. Non-sport is fast enough, sport is great. 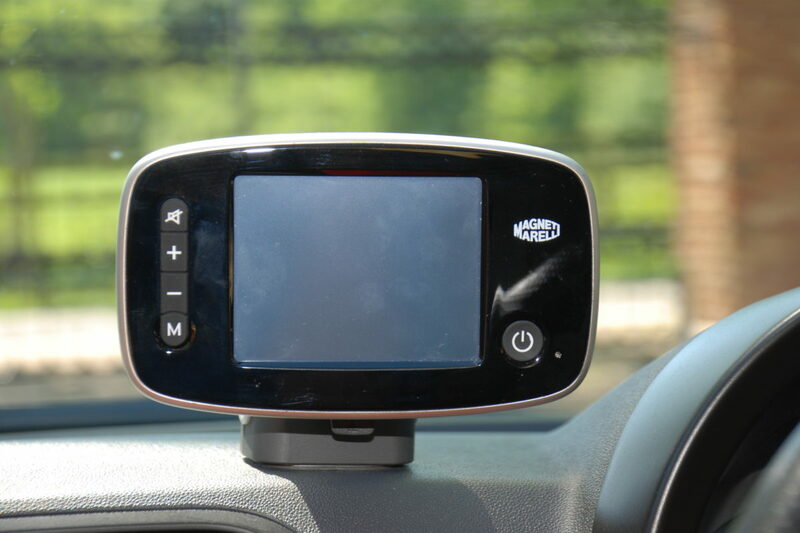 MOT: Sept 2018. Will be done for time of sale. Service: Sept 2018. Will be done prior to sale. Online sale prices vary: It’s very rare and collectable. I hope that you’ll notice that the worth of these cars is increasing, not diminishing, due to the rarity of these cars, and how much fun they are. I can say with hand on my heart for the money, you will not get a bigger smile on your face. 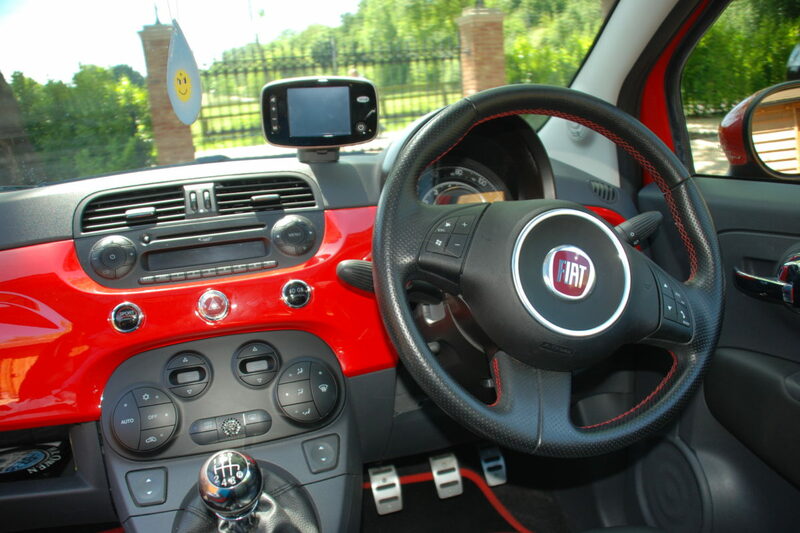 It’s a great car, so fun to drive, and gives the driver and passengers a feel good feeling. 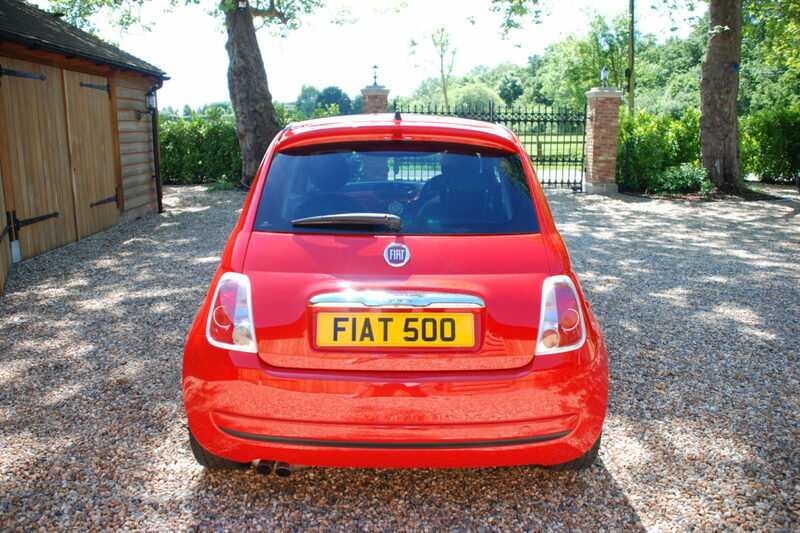 “Fiat 500 and Ferrari: two universal motoring icons which represent “Made in Italy”, one cute and the other exclusive. 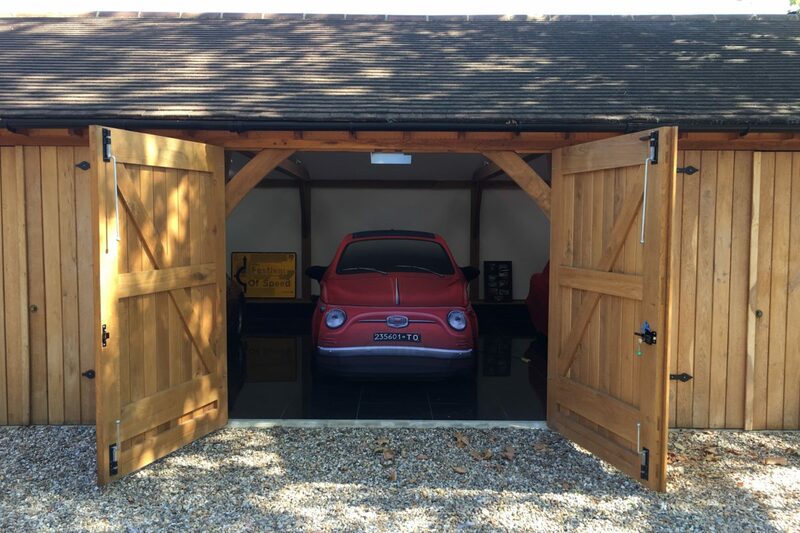 This is why the Maranello House has chosen the Fiat model as its “courtesy car” for its customers, who appreciate Italian style and like unique products. 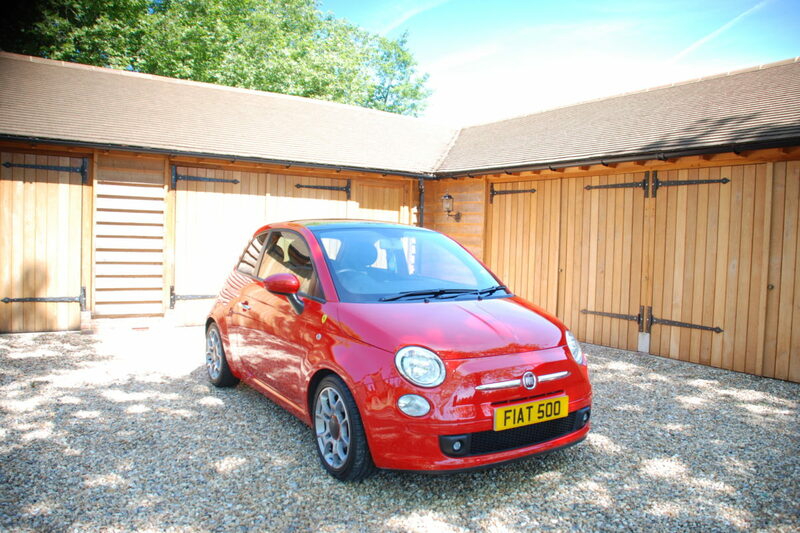 In actual fact, two hundred Fiat 500 have been manufactured exclusively for the Ferrari sales network and will be driving on all of Europe’s roads. 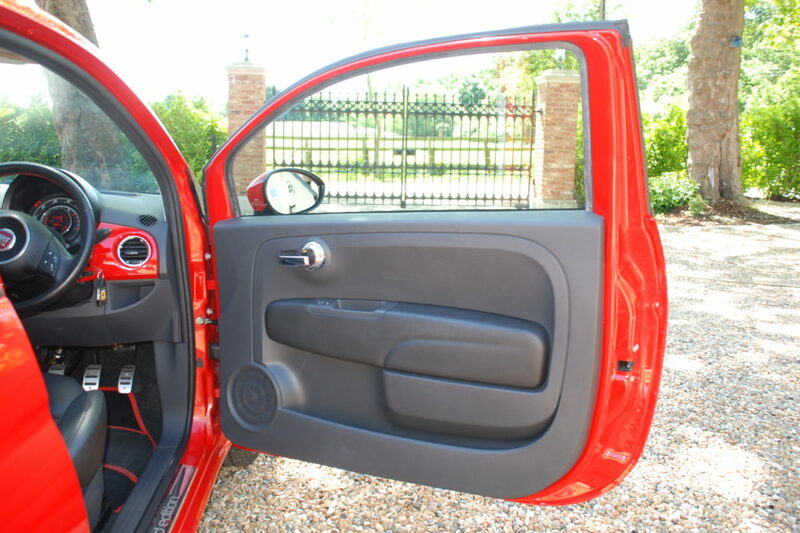 Based on the Sport version and distinguished by the traditional red colour, the two hundred Fiat 500 specials are fitted with the lively 1.4 6v 100 bhp engine and offer specific tuning and exhaust in perfect harmony with the sporty spirit of the “prancing horse”: these two features are designed and made by Magneti Marelli, a leading components company in the Fiat Group which has supplied high-tech parts to Fiat and Ferrari for years. 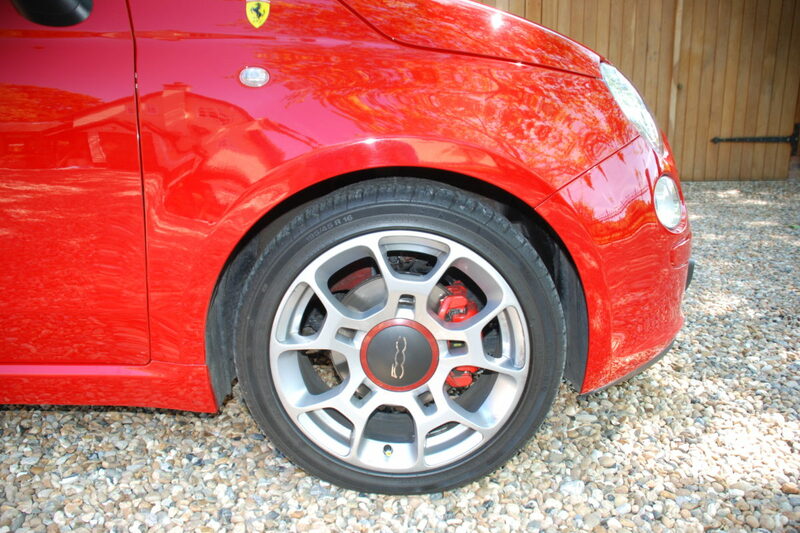 The same sporty theme can also be found in some aesthetic details such as the red calipers, sporty pedal set, special black steering wheel with red stitching and 16” alloy wheels with 195/45 tyres. 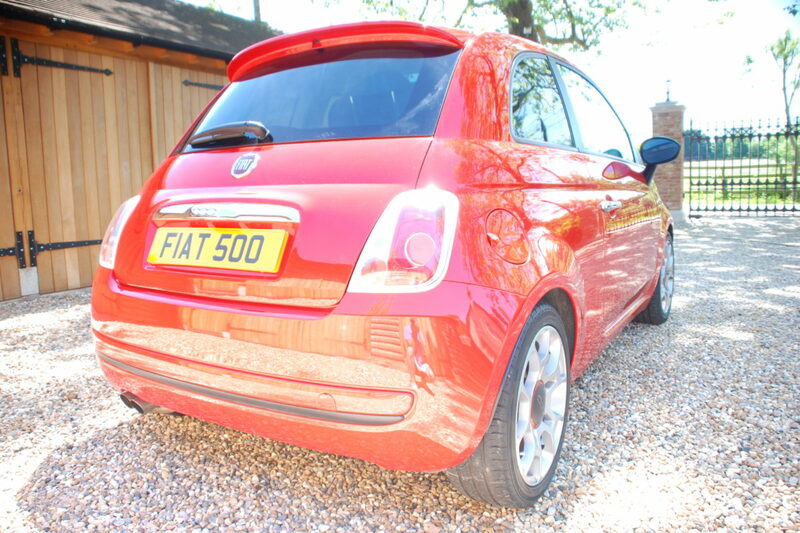 One of the very best cars that I have ever owned and driven (and believe me, I’ve driven lots of cars as owner of mycarheaven.com, from Ferrari’s, Porsches, Mercedes-Benz, BWW, for the money this little car is sensational. It is fun, fun, fun, and goes like the clappers, and sounds immense. You’ll be one of only 200 (most probably less) owners on the entire planet, so you are very unlikely to see another one on the road. You’re in that “exclusive club”. 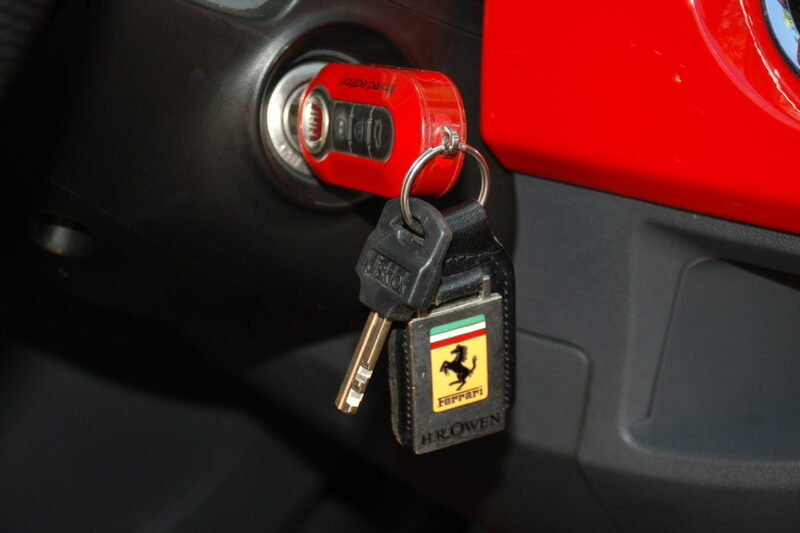 You’ll own a car with a Ferrari badge. 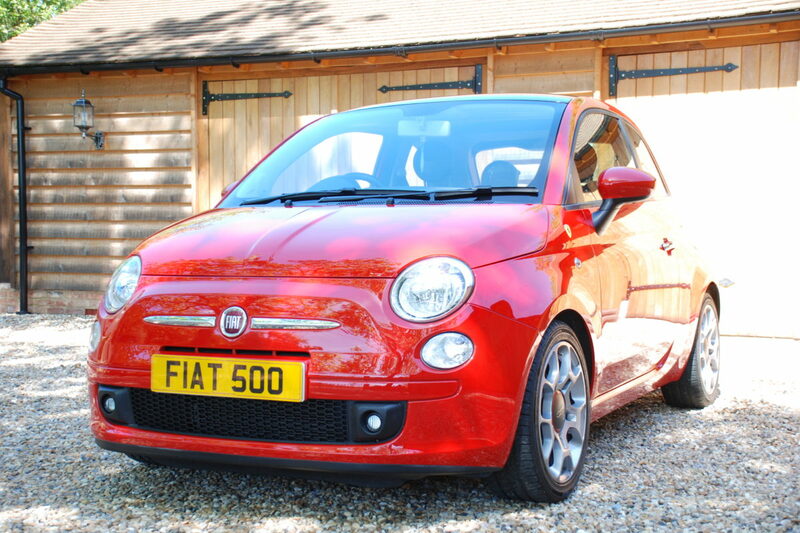 You’ll own a Fiat 500. One of the coolest cars ever, period. 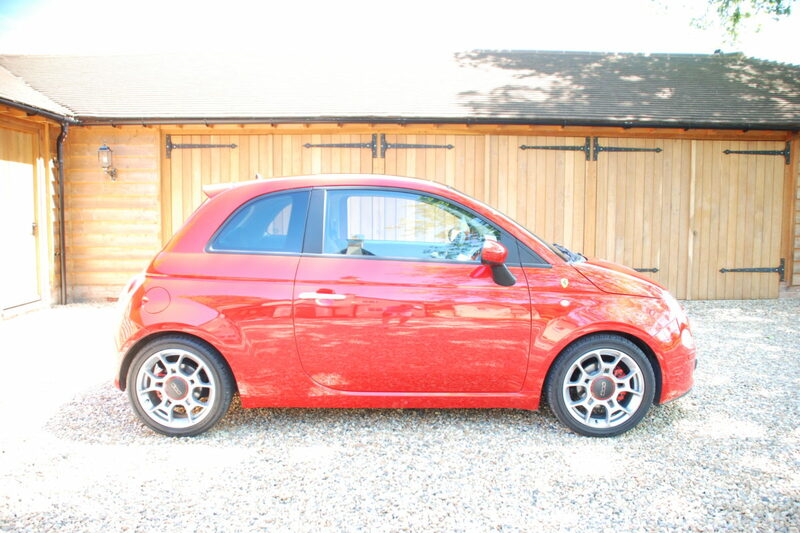 Please note that I’m only selling this car at the right price, to the right person. A car like this needs to be looked after, after all. With a collectable car and future classic car like this the owner is a custodian and should know this. 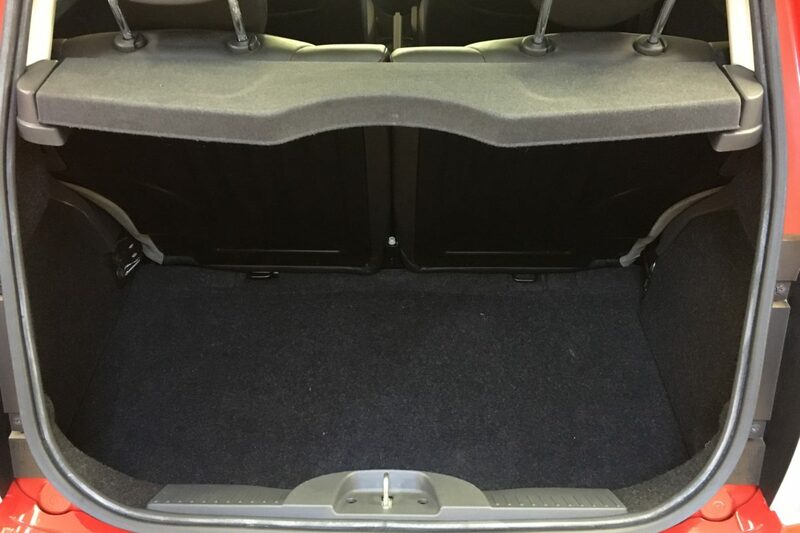 The car comes with all its paperwork in a leather binder that I have put together, that documents all history and receipts/ servicing since 2008. 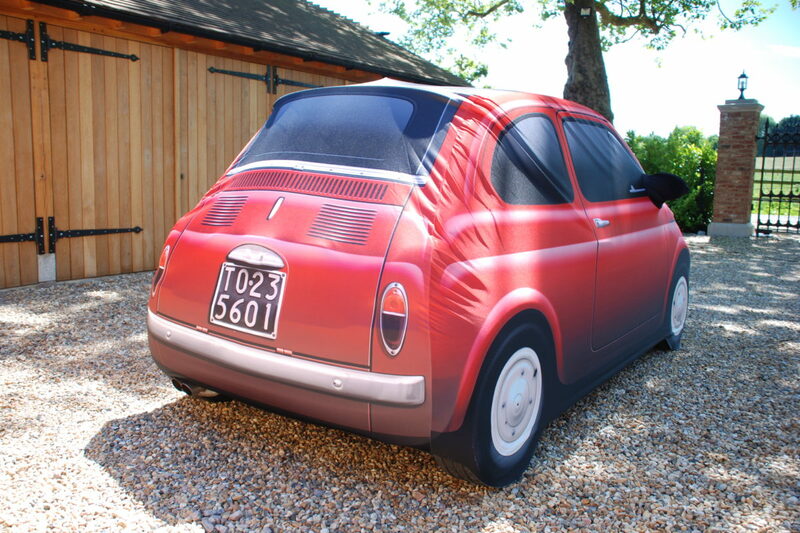 The car also comes with a very cool Fiat 500 protective cover (see photos), that if you could find one was circa 300 pounds. 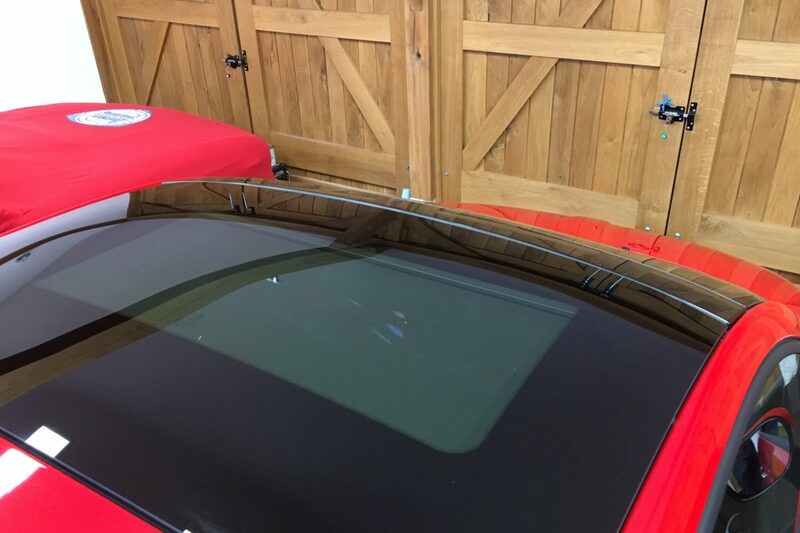 The car has been kept in showroom conditions, heated floor and humidifier. 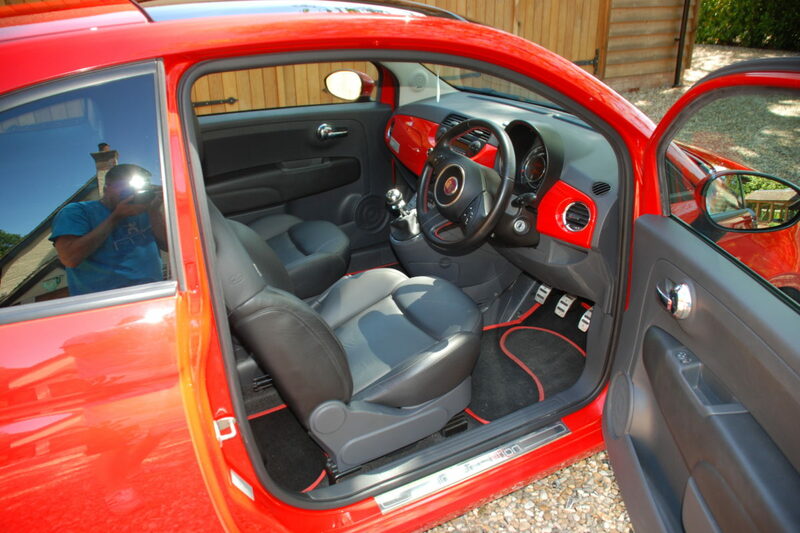 As I stated we only buy the best of the best, then look after these beautiful cars with respect and care they deserve. Call me today if you have the money and desire to buy this wonderful car. 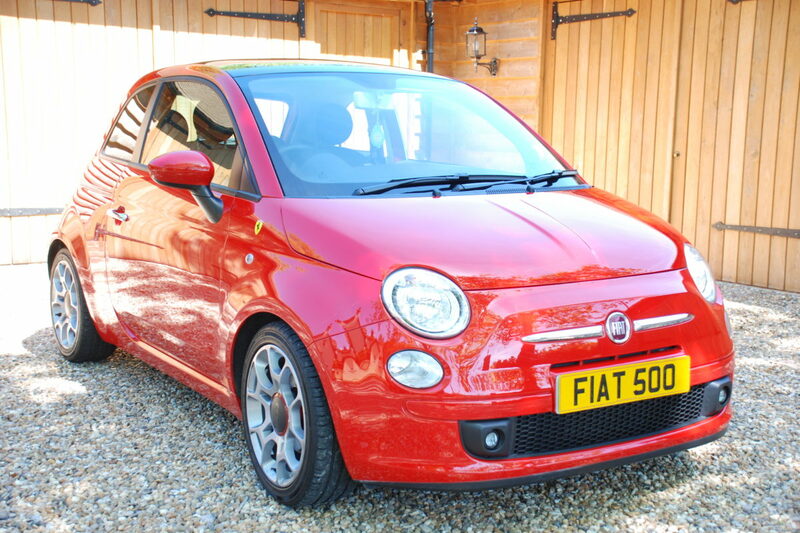 2 comments on "For Sale: Fiat 500 ‘200 Ferrari Dealer’ Edition"
Yep, for the money it is a very fun, rewarding car and always puts a smile on my face. All the best.